Templemore in Co Tipperary saw among the sharpest falls in the number of people in employment between 2006 and 2016, down 361, or 34.22pc. The town is still suffering. 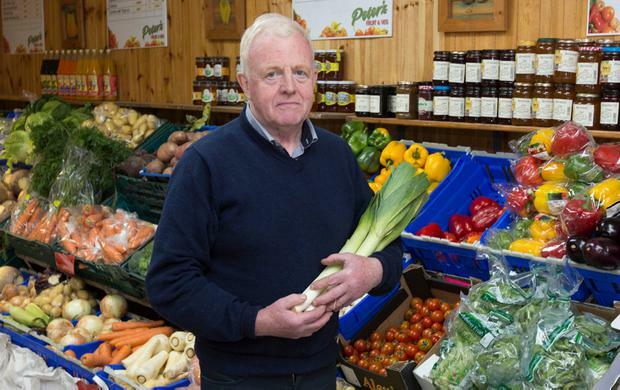 Peter's Fruit and Vegetables shop witnessed a 30pc drop in trade over the lost decade and the business, which had employed 12 in the boom years, today has only eight staff. Peter's is just one business in the town which has suffered, with many unable to keep trading. Owner Peter O'Connor, who has run the shop for three decades, said "no one thing" occurred in Templemore to cause such a loss of jobs and business opportunity - it was a combination of events. "This was more a drip, drip effect," he said. "We noticed shops closing down in town and not opening up again. The margins were getting tighter. "Parking charges were introduced in the town centre and that had a bad effect on footfall, but then Lidl opened up with free parking. "AIB closed down in around 2008, the local council office closed, and the An Post sorting office relocated. A lot of workers were gone from the town because of this and that had a knock-on effect on trade. Shops closed down and employees lost jobs. "It was no one thing. It was so many things. And even now in the national recovery, we have not recovered." He is critical of politicians, whom he believes pay lip service to promoting regional development while at the same time enacting policies which make it difficult for businesses to remain viable. "The local shops here had a contract with Templemore College and due to procurement (rules), that is gone too. That contract went out nationally. That link has been lost between the college and local businesses and that will affect us very badly. "It feels like decisions are made up in Dublin by politicians who make out they care about rural Ireland, and they don't care at all." Sligo also suffered badly, losing 1,537 jobs over the period, a drop of 17.73pc. It saw the second highest fall in the number of people employed of anywhere in the country, only 'beaten' by Limerick city and suburbs. Among those badly hit was EJ Menswear in the town centre. 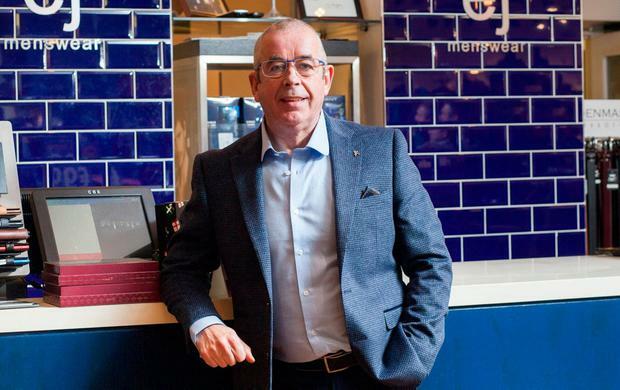 It saw trade drop by 30pc and owner Eamonn Cunningham said that from 2007 to 2009 he grew increasingly concerned about the future of the business, "getting out of bed and not knowing how bad it would be". As workers lost their jobs, more and more businesses closed down across the town. EJ's struggled to hang on but somehow made it work. "I called a staff meeting and said 'we have to fight to make this work or we aren't going to survive'," he said. "Our staff pitched in, working less hours and at times working without pay to help keep the business afloat." Drastic action was needed, so he started buying up advertisements at knock-down recession prices. "I advertised in nearby counties and across the country and we started getting trade from Donegal, Roscommon and elsewhere. We started to recover and last year had been our best year ever but this year has been even better. "We just worked really, really hard to survive and used the recession to our advantage." EJ's has also become well-known for its quirky Facebook videos, used to promote the business. Today, the downturn seems a distant memory. With more than 69,000 followers on Facebook, a website and a new shop, EJ's Little Sister, set to open in two weeks, this company is coming out the other side.